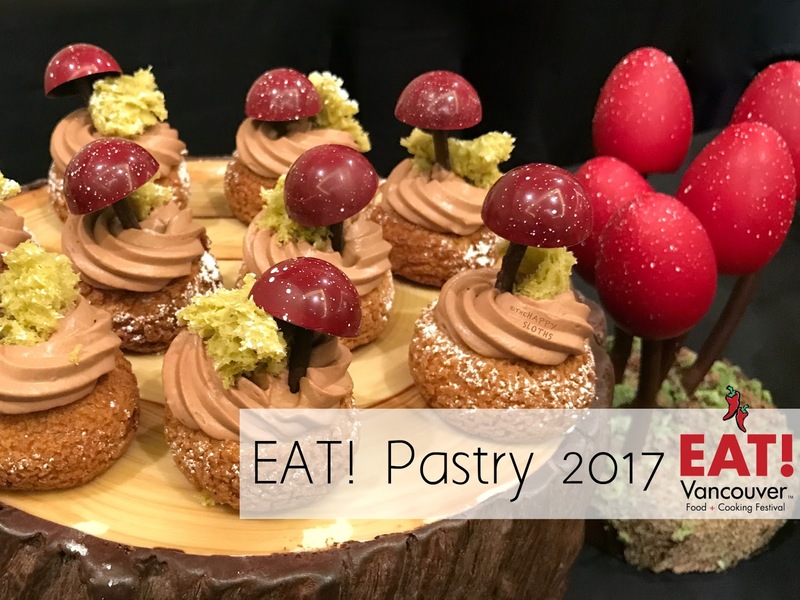 Held at the Pinnacle Harbourfront Hotel in Downtown Vancouver, the EAT! 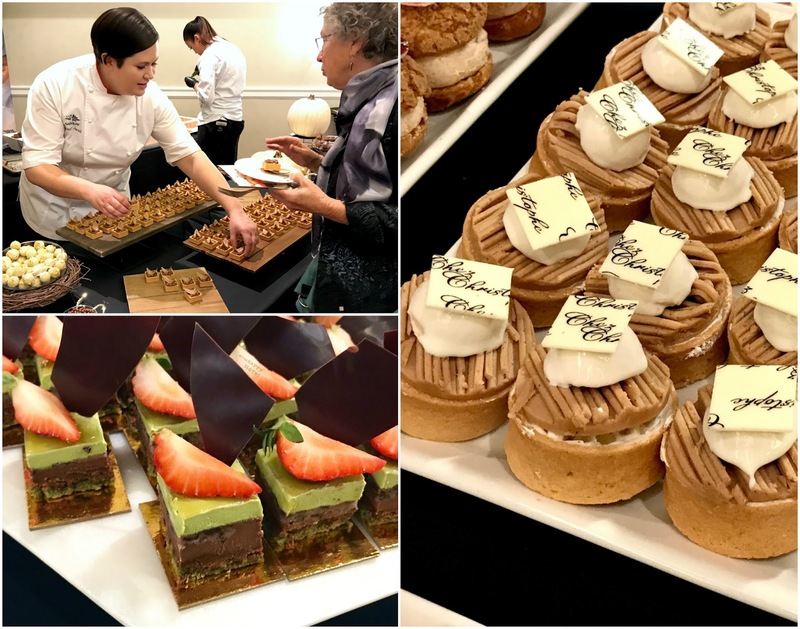 Pastry event was a feast of everything sweet and decadent. 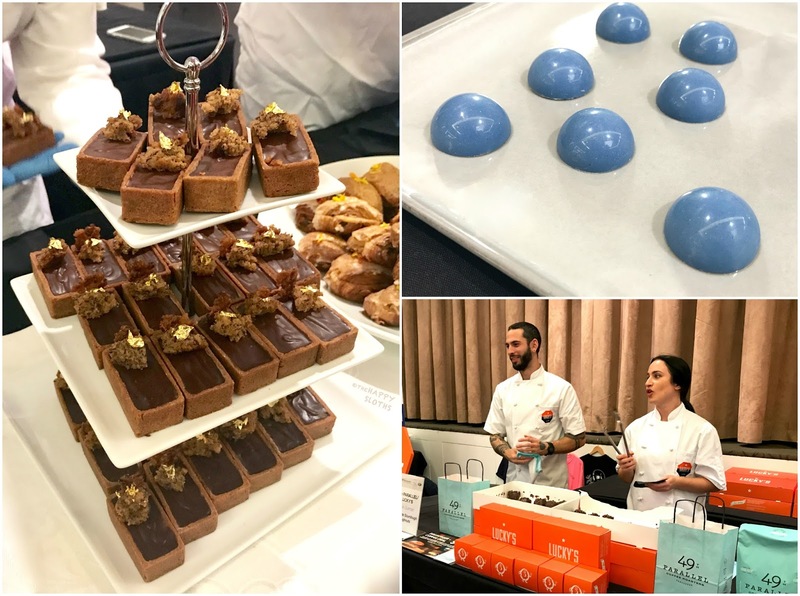 It brought together 15 acclaimed local and national pastry chefs and chocolatiers, all serving up samples of their best work. The event took place inside the spacious Pinnacle ballroom and each chef had a station set up to present their dishes. Within about thirty minutes, the place became packed with hungry guests who were more than eager to indulge their sweet tooth. Things got pretty hectic pretty quickly but since the event spans the duration of three hours, each guest had plenty of time to visit all the stations at least twice. Small cocktail tables scattered the room and fresh coffee and tea were offered on the side to help guests recuperate from their sugar highs (and crashes). I love desserts and pastries so this was heaven for me! Nevertheless, after about seven or so samples, I had to tap out as my blood sugar level slowly crept saturation. I've since recovered from this sugar coma and am ready to share with you a selection of what was offered at the event. 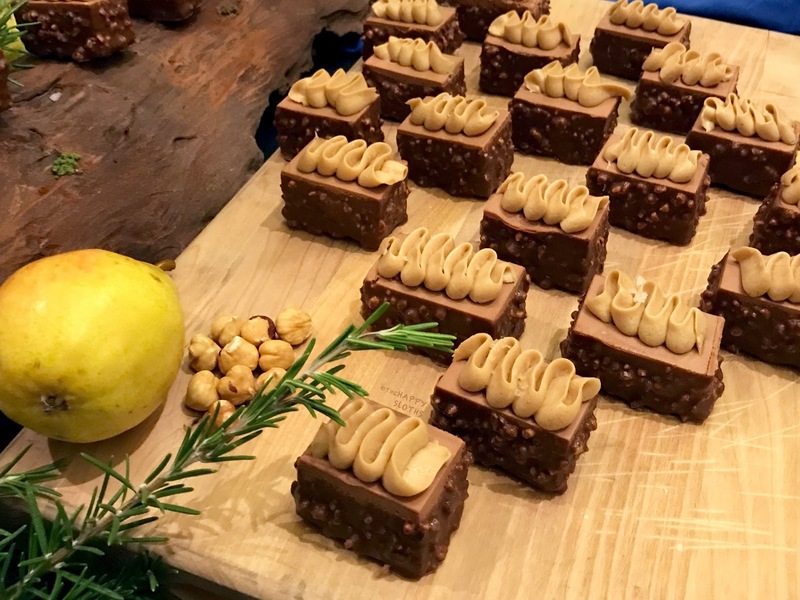 The Pacific Institute of Culinary Arts served up a rosemary-infused milky chocolate mousse bar coated with candied hazelnuts. It was very decadent and sweet and as my boyfriend called it, a gourmet chocolate bar. 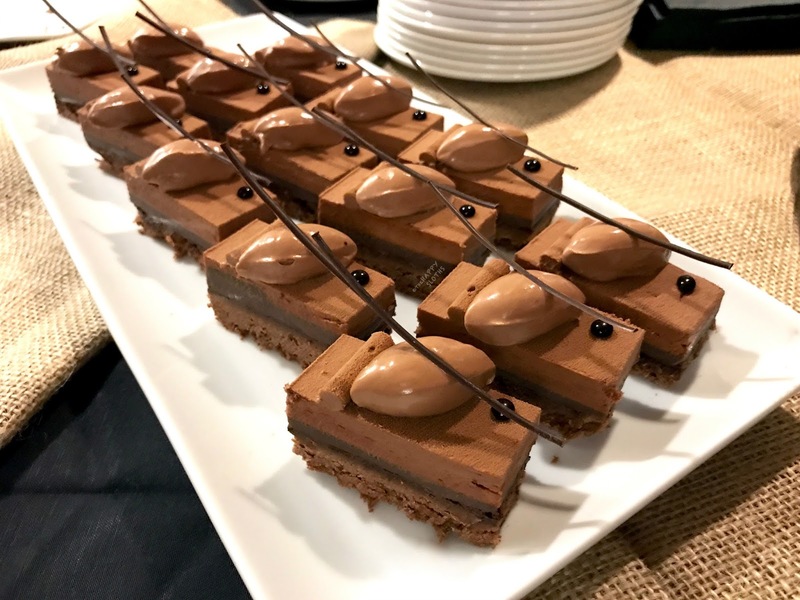 The Pinnacle Hotel's P2B Bistro & Bar whipped up a cranberry Sacher torte that was incredibly moist with a distinct flavor profile. I may have been swayed as this was the first thing I tasted that afternoon but it definitely was one of the best desserts at the event. 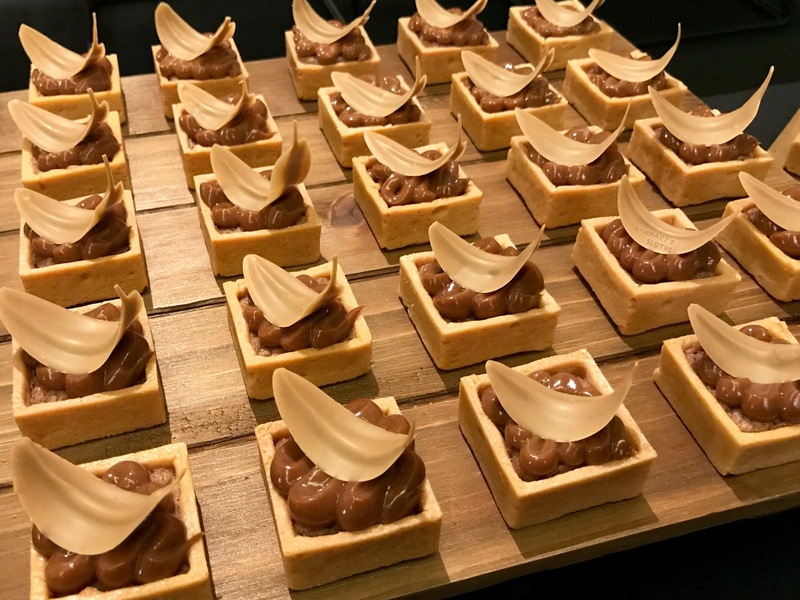 Valrhona Chocolates, the exclusive chocolate sponsor of the event, put out a variety of chocolate-themed treats. I was honestly too full by the time I got to their station so I didn't end up trying anything but props to their beautiful table set-up that made for some amazing photos. Surprisingly, the popular Japanese restaurant Miku was also present at the event and they gave out samples of their famed green tea opera cake. I thought it was delicious but the matcha flavor didn't quite come through for me. I was told that it's usually served with matcha ice cream at the restaurant so perhaps that helps elevate the flavors. Instead of serving up just one dessert, Burnaby patisserie Chez Christophe offered an assortment of petit fours. Everything was exquisite and yummy so I definitely plan on visiting their shop the next time I'm in the Burnaby Heights neighborhood. 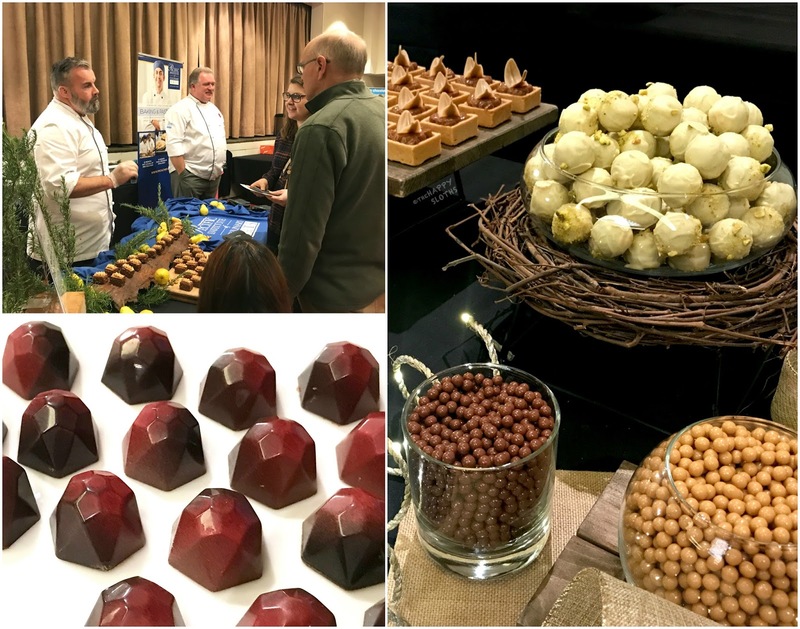 Aside from Valrhona, there were a few other chocolatiers at EAT! Pastry and they were offering samples of beautifully-made chocolate bonbons. I'm personally not a fan of chocolate candies (gasp, I know) but I can certainly appreciate the effort put into making them. 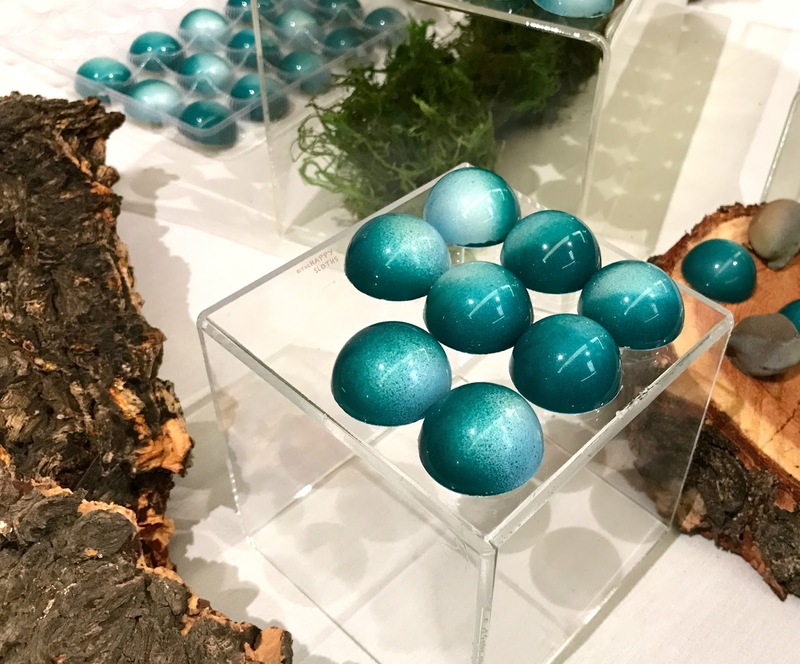 At the event was Gem Chocolates, CinCin, Chocolate Arts, and Karat Chocolate. Lucky's Doughnut from 49th Parallel Cafe also made an appearance, serving up a chocolate sourdough doughnut. It wasn't much to look at but it was softly chewy and not overly sweet. 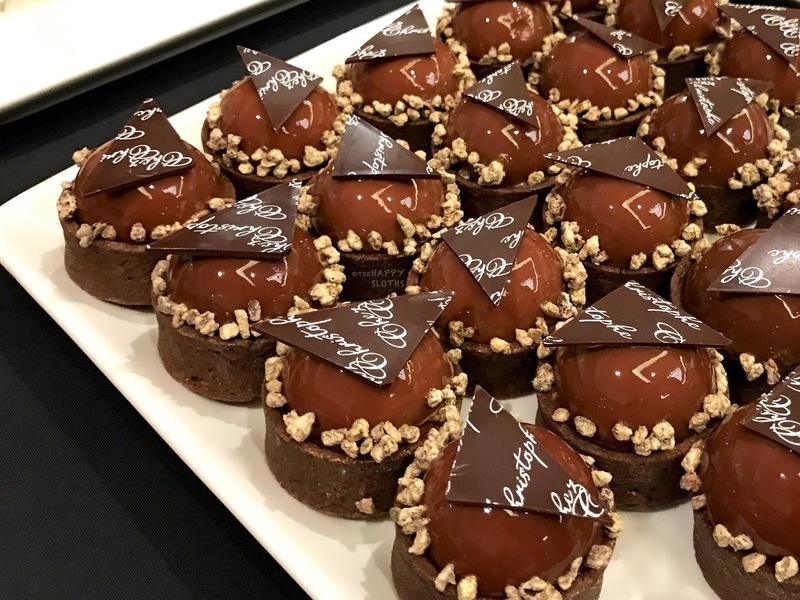 I was more than delighted to see that my favorite dessert spots in Vancouver, Beaucoup Bakery and Beta5, were also present. Beaucoup brought samples of chocolate tarts and mini chocolate orange double baked croissants. Both were great, as expected. 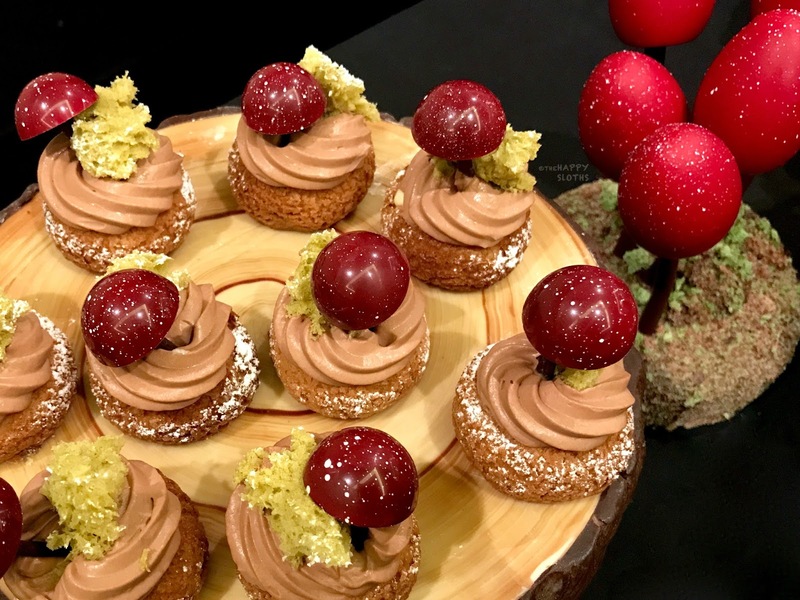 Beta5, on the other hand, served up some beautifully decorated cream puffs that were reminiscent of the douglas fir eclairs released last Christmas. Flavor-wise, they weren't as amazing as some of the other cream puffs available in stores but they certainly looked stunning! 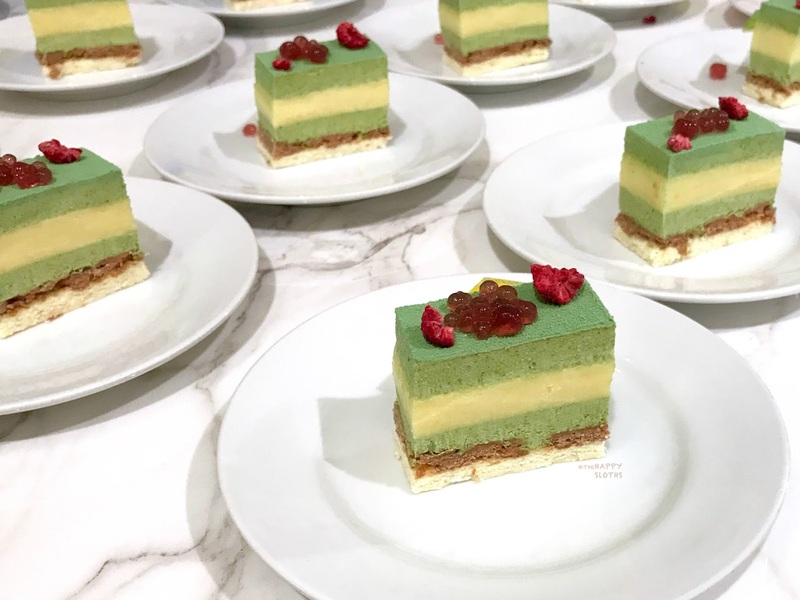 West Vancouver's Temper Pastry presented mini versions of their matcha yuzu cake. I visited this place not too long ago and found their cakes to be a bit too sweet for my liking. However, the matcha yuzu cake was a nice exception with its nice balance of tart and sweet. 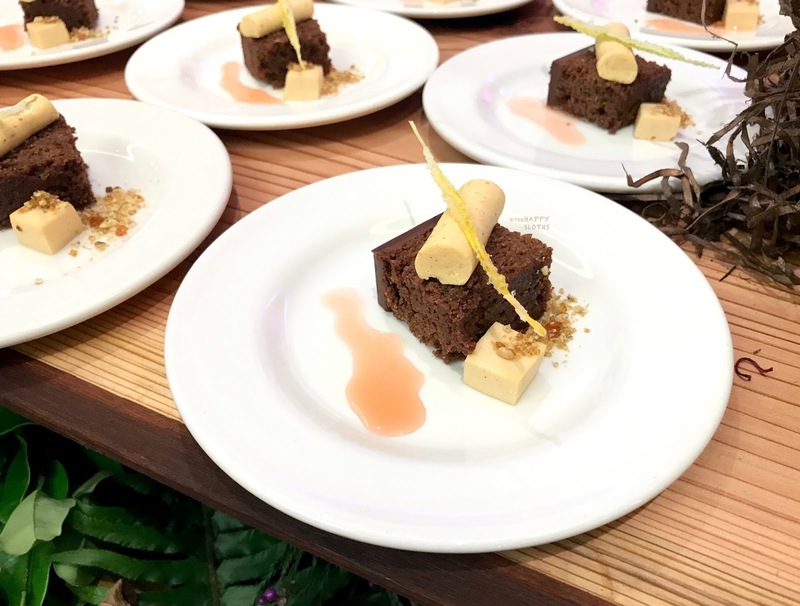 Last but certainly not least, Thomas Haas offered up a triple dark chocolate cake that's apparently made with only five ingredients! The presentation was superb and the taste was just heavenly. Anything described as "triple chocolate" is usually deathly sweet but the nuanced sugar level of this treat really allowed the chocolate flavor to shine. I didn't manage to get good photos of every station and the few I missed were Nadege Patisserie, Patrice Patissier, Cadeaux Bakery, and Thierry. Needless to say, they all offered up some amazing and yummy treats! Overall, this was a killer event and I dearly hope that Eat! Vancouver hosts one next year. Priced at a hefty $79 per ticket, the entrance isn't cheap but for anyone with a sweet tooth, this is nothing short of heaven!